Hakonen system, Lonetrek region. On the 23rd of October at 11:00 EVE Standard Time, an Avatar Titan was destroyed by forces belonging to Project.Mayhem. [16-13]. The Titan in question appears to have been recently bought, making its way to its alliance, Brothers in Arms Alliance [BIA], staging system in the Pure Blind region. Information about the sale and location of the Titan has been circulating between the various Super Capital hunting crews, reaching Project.Mayhem. as well who were in place to intercept the Titan. The first attempt to intercept the Titan in the Obe system of the Forge region failed, as it managed to jump in and safe up before Project.Mayhem. pilots could get in place to catch it. However by then they had both the Titan and any possible cynosural beacon pilot associated with it on watch list. They then checked possible routes from the Obe system to its alliance’s staging system, finding two. One route involved a direct jump, the other, taking a gate and then executing a jump. Heavy Interdictor pilots were quickly stationed both in the direct jump system and the Obe system where the Titan was logged off in, waiting for it to make a move. On the 23rd, the Titan attempted to use the second route. Logging in with less than 5 minutes left before the server’s scheduled maintenance down time, the Titan warped to the Hakonen gate and held on it. The Project.Mayhem. Heavy Interdictors were ready and warped to the gate as well. At that moment the Titan had two options; jump into Hakonen and attempt to hold cloak and hope the scheduled down time would save it, or make an emergency jump. In the end it chose the first option and jumped into Hakonen, accompanied by the Project.Mayhem. Heavy Interdictors. With only a minute and a half left, the Titan uncloaked and was immediately tackled. One of the Heavy Interdicotrs lit a cynosural beacon, bringing in the Project.Mayhem. Dreadnoughts. At that point Project.Mayhem. were racing the clock in an attempt to destroy the Titan before it was freed by the scheduled down time. Overheating their guns, the Dreadnoughts managed to chew chunks of the Titan’s armor but it wasn’t enough. With only seconds remaining, a decision was made – Bring in a Titan. A Ragnarok Titan jumped to the already lit cynosural beacons, targeted the Titan and fired its doomsday weapon. The massive amount of damage it caused was enough to wipe the remaining armor and structure hit points the Avatar Titan still possessed resulting in its explosion just as the server shut down. Once the server was back up again, the Project.Mayhem. Dreadnoughts and Titan safely extracted, having scored a Titan kill at the nick of time. And gave others a choice that probably it wasnt even possible before. 2 sides of the same coin: cryers and players. 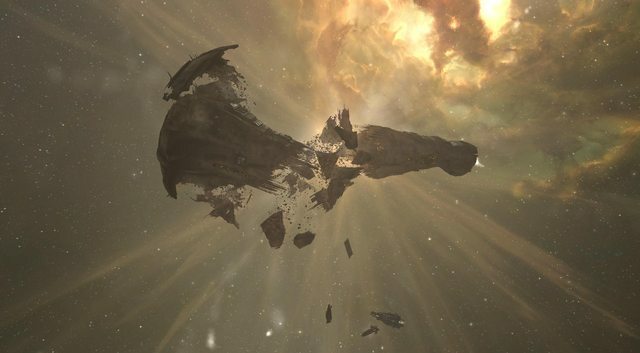 thank you ccp for phoebe 2.0 and thank you mayhem for gutting the whale. lol dumb niggers playing a dead game. Noob question – Why didnt he jump? He couldn’t have done that. If a capital/super/titan is hic pointed in a stargate, it is unable to actually jump through it. en24 still making articles on titan loses like people care. Travel fit titan without an alt to drop on him to refit is one dead titan, tank fit and he lasts until downtime at least. With havin so much content and articles do you ever run into any problems of plagorism or copyright violation? content from being stolen? I’d genuinely appreciate it. Consider investments that supply instant annuities. And that is an funding risk worth taking. I’m gone to tell my little brother, that he should also visit this weblog on regular basis to get updated from hottest news. wonderful post. Also, I have shared your web site in my social networks! almost…HaHa!) Excellent job. I really loved what you had to say, and more than that, how you presented it. price? Thanks a lot, I appreciate it! post is written by him as no one else know such detailed about my trouble. Hi to every single one, it’s in fact a fastidious for me to visit this web site, it includes valuable Information. of web thus from now I am using net for articles or reviews, thanks to web. Very good information. Lucky me I recently found your site by accident (stumbleupon). INRxr0 Wow, great blog.Really looking forward to read more. Leave a Reply to Grant Click here to cancel reply.